I am sitting here typing this, and I think my house might blow away. It is crazy windy, like 40+ mile an hour winds. Stuff is just blowing by the windows in the back of my house, and it is just loud. It is a perfectly sunny day too, not a cloud in the sky. Thankfully it wasn’t quite as windy yesterday with garbage day, or the neighborhood would be a real mess. But it makes me want to just curl up inside and not go out at all today. Too bad that isn’t an option. 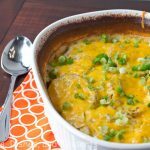 I think that mashed potatoes is one of the most popular side dishes during the holidays. But sometimes dealing with making them can be kind of a pain, especially when you have 8 other things you are trying to work on. 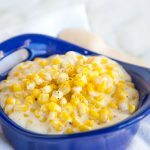 Which is why these crock pot mashed potatoes are such a great recipe to have in your back pocket. 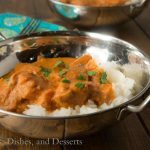 They are even great if you are bringing a dish, because they can stay creamy and hot even while you transport them. 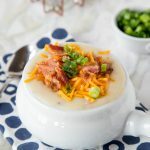 Plus, making mashed potatoes in the slow cooker could not be easier! 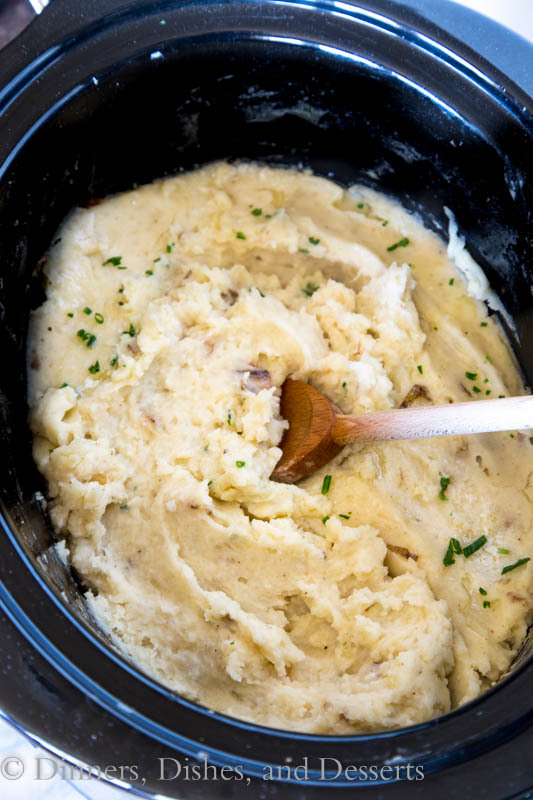 Garlicky mashed potatoes are definitely a favorite in our house. Creamy, buttery, galicky mashed potatoes are a big hit. 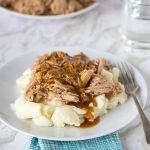 And these crock pot mashed potatoes are no different. All you have to do is peel (if you like your potatoes peeled), and chop the potatoes. Then the slow cooker does the rest of the work. You come back 3-4 hours later, mix in some Stonyfield yogurt, milk, salt and pepper, and you are good to go! You can spend that time visiting with family and friends, working on something else, or just relaxing! 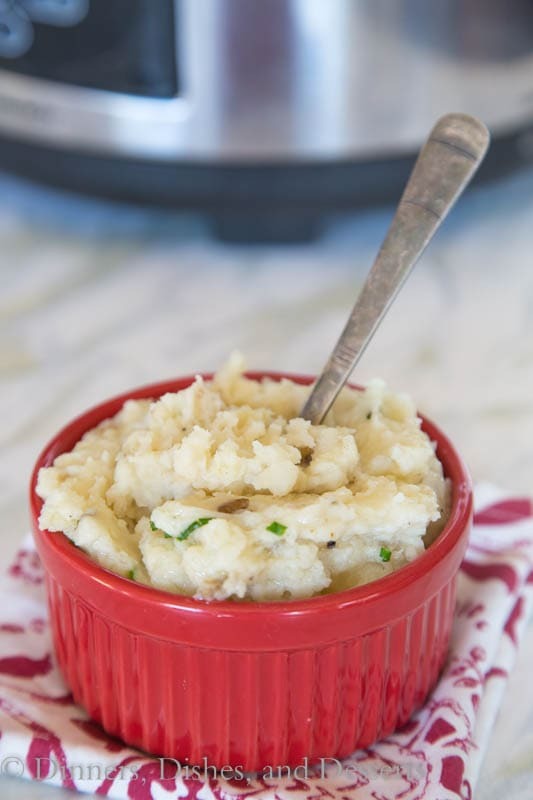 These garlicky crock pot mashed potatoes are great for more than just holidays too! 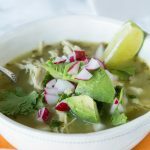 And you can change up the flavors with different add-ins to mix it up each time. Or stick with garlicky mashed potatoes, because those are always a winner. 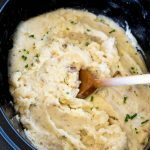 Garlicky Crock Pot Mashed Potatoes - make your favorite mashed potatoes in the slow cooker! 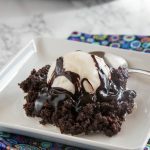 **I developed this recipe for part of the Stonyfield Clean Plate Club. All thoughts and opinions are 100% my own. I love adding yogurt to my mashed potatoes! It makes them so creamy. 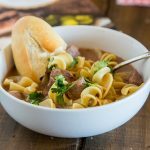 And how awesome that this is made in a slow cooker! I need all the stove top space I can get. 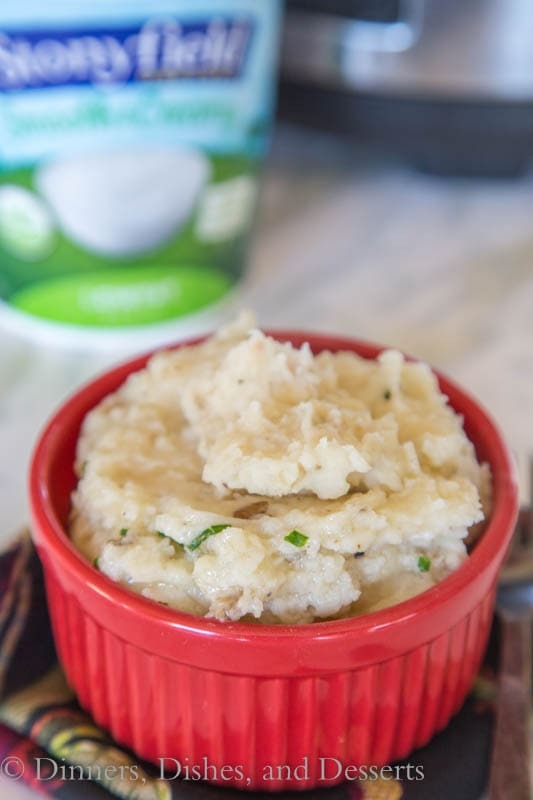 Garlic and Mashed Potatoes just go hand in hand!! <3 That wind sounds insane!! We have had some bad wind here but it's been during the storms that were hitting the east coast. 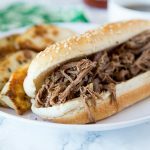 So anyways, I LOVE these even more because they're made in the crockpot!! 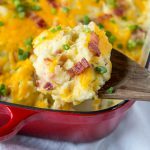 I just found out I am hosting Thanksgiving and now I think I will make this mashed potatoes to save me some space in the kitchen! This mashed potatoes look awesome! 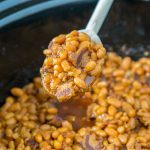 Crock pot makes everything easier! Thanks for sharing! I already have made plans to make my mashed potatoes for Thanksgiving dinner next week in the slow cooker. 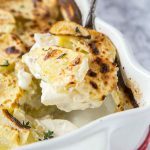 🙂 Love the garlic and the addition of yogurt in your version! Wow, this looks so easy. I might have to give this a try!